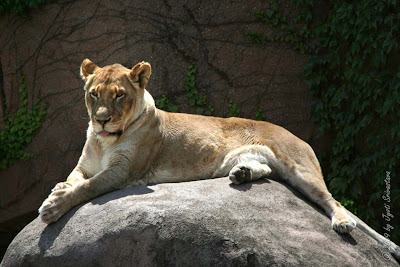 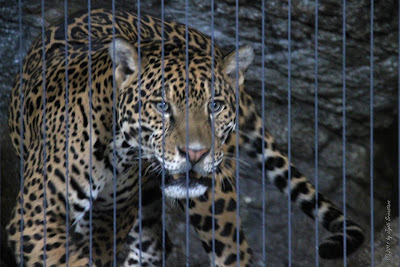 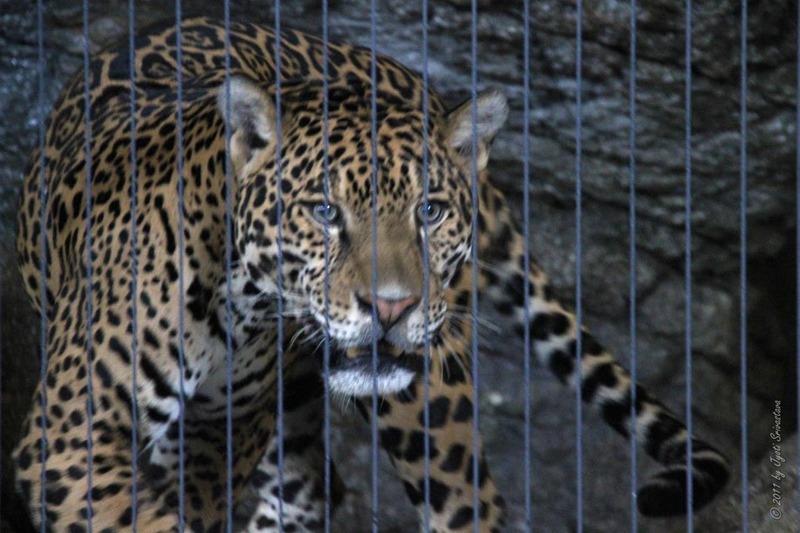 Lion House, Lincoln Park Zoo .. 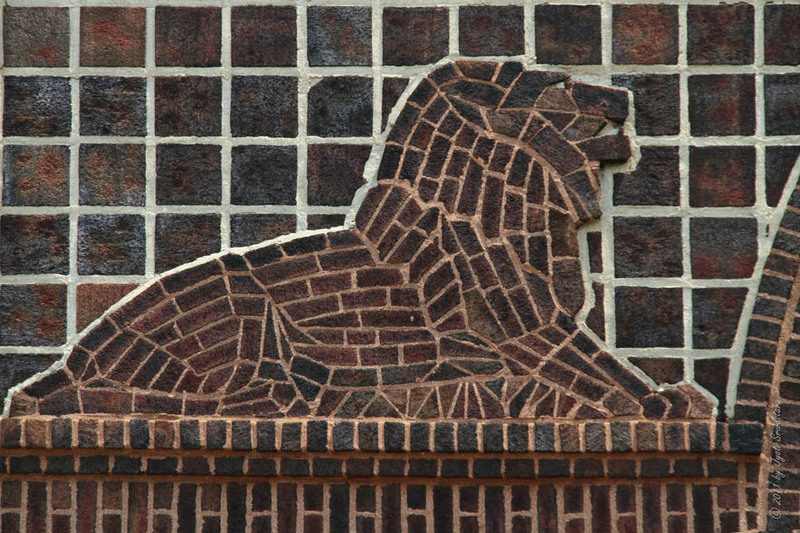 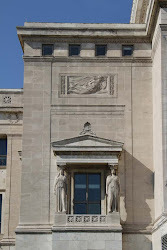 Located in one of the country's oldest municipal zoological parks, the lion house blends both the grandly-scaled public architecture of the classical style with the innovative Prairie style developed by Chicago architects in the early 20th century. 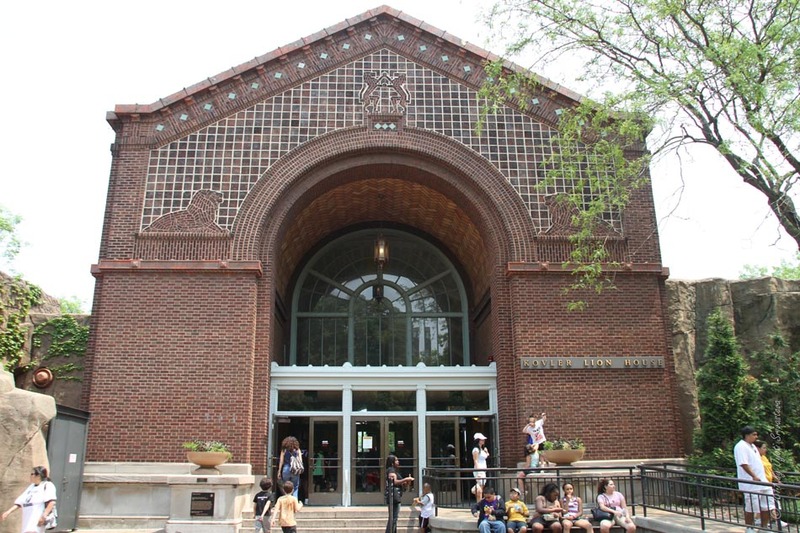 The building was designed by important architect Dwight H Perkins, an advocate of park and school reforms. 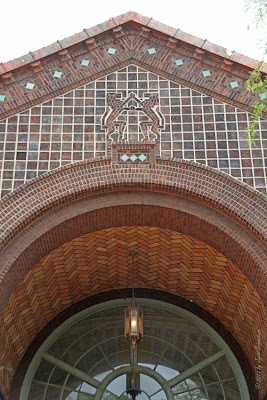 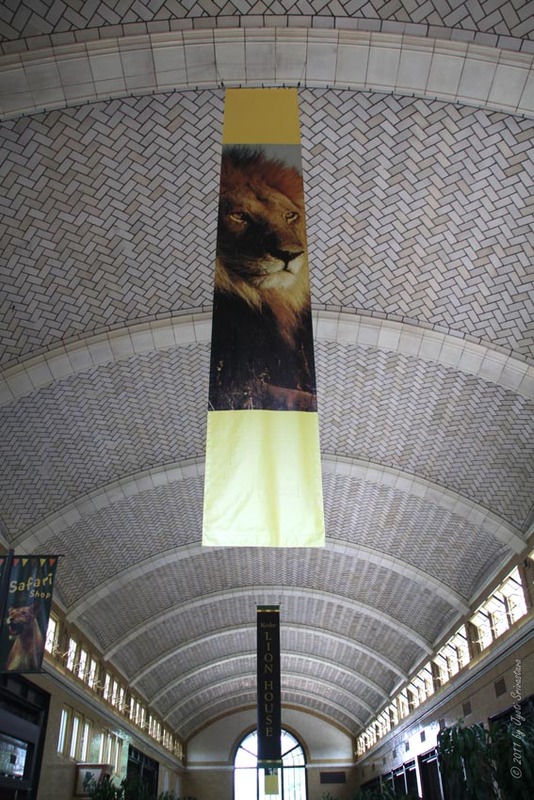 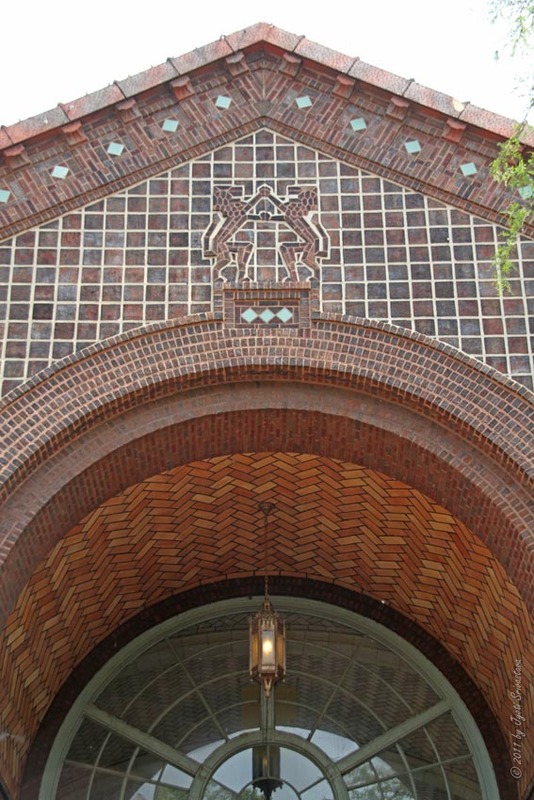 The building has excellent brickwork and terra-cotta ornament, unique lion mosaics, and a grand interior with a vaulted Guastavino-tile ceiling, an innovative construction technology of the time.. Designated on Novemeber 30, 2005.. 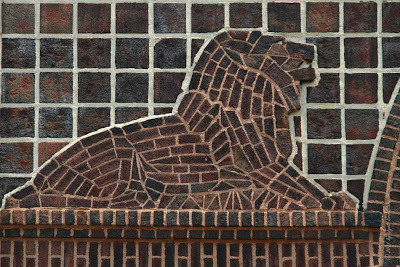 Lion outside of the Lion House.. 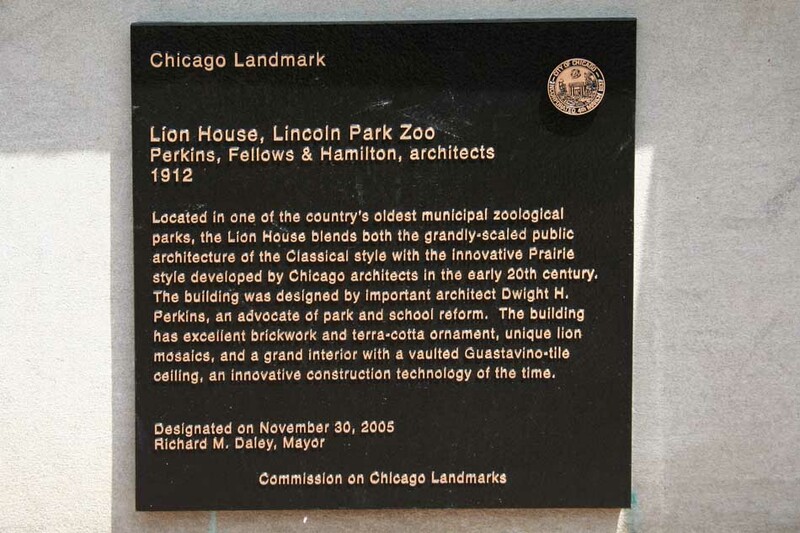 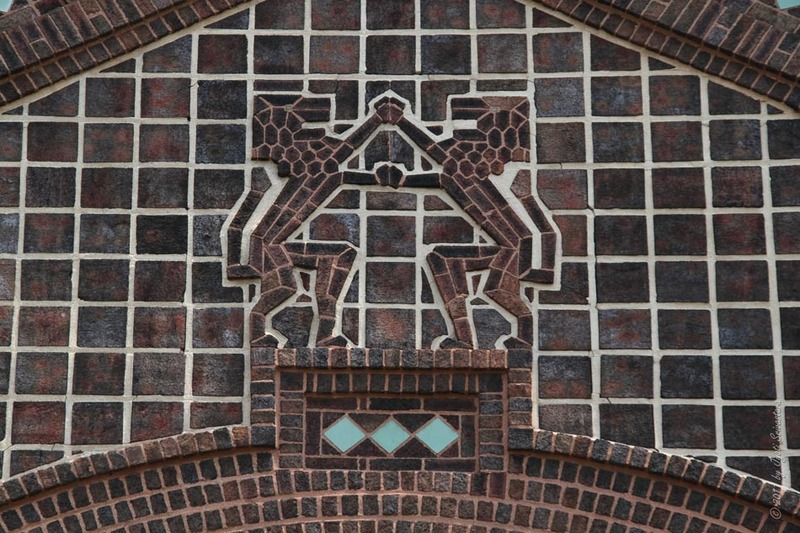 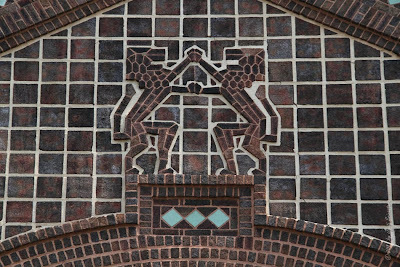 Designated Chicago Landmarks in Lincoln Park Zoo area..